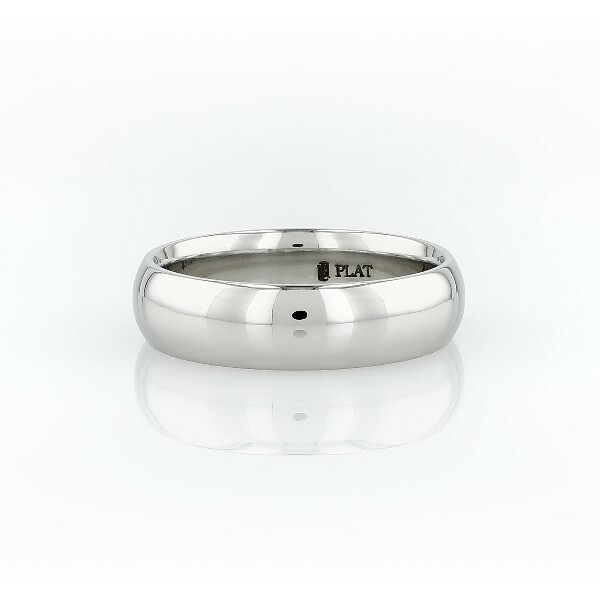 Make your promise with this high polish, comfort fit platinum wedding ring. This classic style has a traditional higher dome profile and substantial weight. Its softly rounded, comfort-fit inner edges make this a ring you'll be happy to wear constantly.